Today’s vinyl flooring has come a long way from the vinyl flooring you might remember at your grandma’s house, or the drab vinyl flooring with the institutional vibe. On the contrary, today’s vinyl flooring offers a fashionable and affordable flooring solution for homes and businesses. 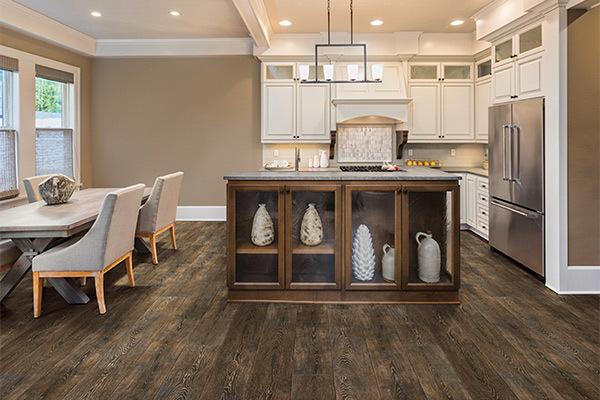 Luxury vinyl is strong but resilient and soft underfoot – and it’s waterproof flooring, making it a perfect flooring solution for kitchens, bathrooms, and other high traffic areas. Often called resilient flooring, vinyl flooring comes in a vast array of designs and colors that allow you to customize the look for your home, without paying a custom price. 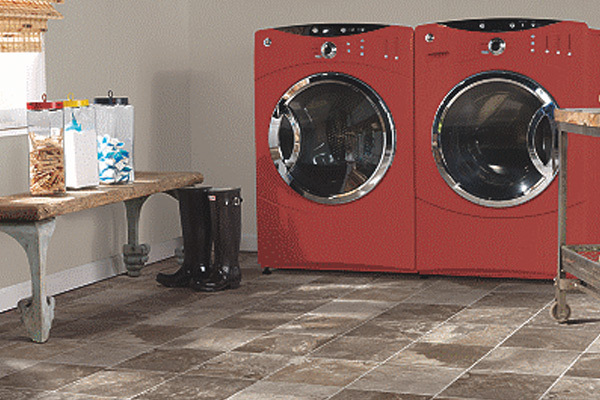 Vinyl flooring offers solutions for every budget. 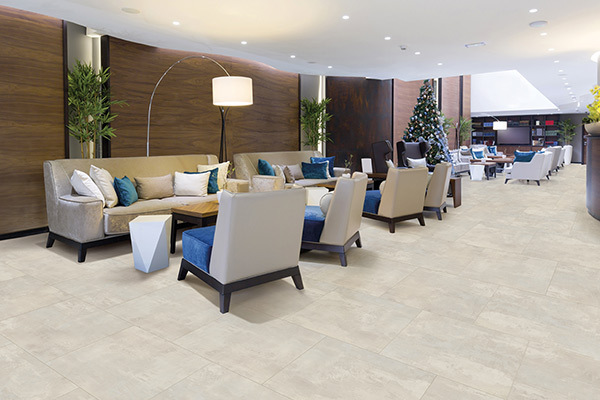 Luxury vinyl tile, also known as LVT, has the look of ceramic tile or stone, at a fraction of the cost. With luxury vinyl tile, you get the upscale look of tile, but in an variety of colors and designs that can’t be found in ceramic tile. Luxury vinyl plank, also known as LVP, has the look of hardwood flooring, but again is much more affordable and lower maintenance. And since LVP is waterproof, there’s no need to worry about spilling a drink or tracking in snow. That’s in stark contrast to hardwood and laminate flooring, which can easily suffer water damage. Of course, we also sell and install sheet vinyl, especially for our commercial customers. It’s available in a wide variety of colors and patterns as well. Vinyl flooring is economical, easy to clean and easy to maintain, making it a perfect flooring solution for larger areas. We also sell and install vinyl composition tile (VCT), which is composed of vinyl and limestone. It is extremely durable for commercial and industrial applications. 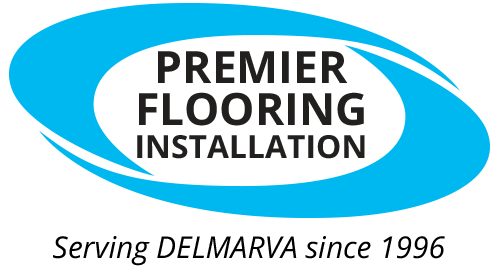 Discover why Premier Flooring Installation is the best kept secret in flooring. Stop by the flooring warehouse during regular business hours, or call 410-391-3382 for an evening or Saturday appointment to get you the one-on-one attention you deserve. Or use our scheduling form to set up an on-site flooring consultation where we bring the flooring showroom to your home or business.